There's so much wrong with this, where does one begin? My question is, what happens if other jurisdictions decide to respond to this by enacting rules which effectively require that online platforms do the opposite? 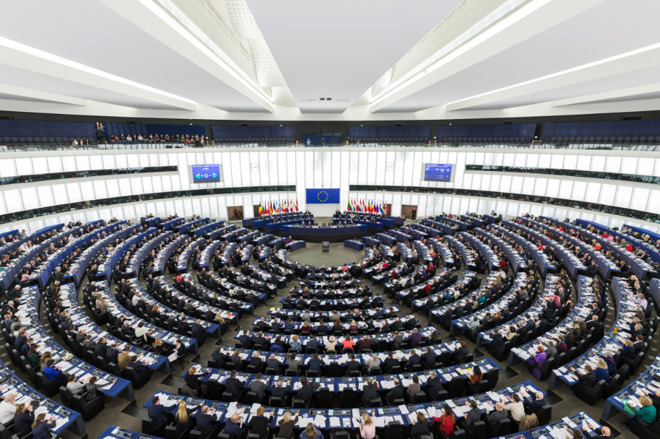 The EU is, effectively, presuming to impose its choice of regulations on much of the planet. (I don't mean to suggest that it is the only jurisdiction that has so presumed.) It isn't just regulating actions which are actually taken within its rightful jurisdiction. So what if other jurisdictions, understandably bristling at that arrogance and disagreeing with these regulatory policies, pass regulations which effectively prohibit online platforms from blocking (or removing) uploaded content which would otherwise be allowed, based on the possibility that it might violate copyrights, unless and until a judicial determination is made (on a case-by-case basis) that given content does violate copyrights? That, to me, seems like an obvious response which other jurisdictions might consider as sort of a protest to the EU's arrogance and, what some might see as, misguided regulations. What would global platforms do then? ... evades the point. The issue isn't whether given content is or isn't protected (from copyright claims) based on it being, e.g., parody or review. The issue is, how can an online platform possibly know ahead of time (e.g. ahead of a judicial determination) that given content is so protected? Without devoting implausible amounts of resources to making individual determinations with regard to uploaded content? The only plausible policy might be to treat all content as not protected. That's one of the problems which this regulation creates or exacerbates. Say goodbye to the EU. It was (not a lot of) fun while it lasted. I see a whole lotta upload filters being put in place and erring heavily to the conservative side. I also see far less distribution of opinion and news ahead. Does a site like AI need to pay a company like The Financial Times for including a quote from one of their articles, or does that obligation extend to the search provider who surfaces the AI article that includes those quotes. Heck it's not even clear what counts as a short snippet of the results when surfacing links. 10 words OK? Only 5? maybe 25 depending? Searches are going to get a lot more difficult and time-consuming. It’s clear E.U. legislators did not have a full grasp of what they were implementing. I suspect this will prove to be another drag on the overall E.U. economy. We’ll have to see how this plays out over time in the courts. Although I thought Brexit was an unfortunate mistake, I do understand why so many in the U.K. want out. 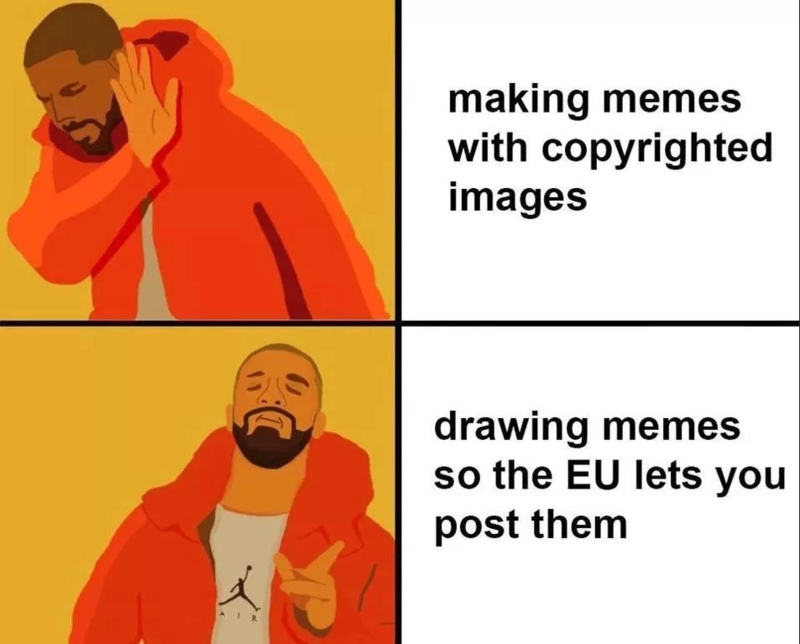 Instead of the E.U. implementing punishing terms on the U.K. Brexit deal, the E.U. might instead reflect on why so many are repulsed by it. Someone hasn’t got a grip on their little defiance problem! Too used to being asked? They can’t legally enforce anything outside of their jurisdiction so I don’t get your rant. Of course if they help usher in responsible business practice that’s fine by me. I put together a little video that pokes fun at Apple users with quick bits of Siri's voice dubbed over a scene from "South Park." Under the new UE rules, that might be okay. The problem is YouTube isn't going to hire the millions of people it would require to screen every upload and interpret the intention behind the use of copyright protected material. It's obviously just going to use automated filters to search for digital fingerprints and disallow anything that includes them. Thus the EU's claims of exemptions are meaningless because there's no practical way of accommodating them. Even if there were, hosts will be unwilling to risk allowing them for fear of punishment if their interpretation of intent differs from the regulating body in any particular case. I can even imagine publishers and distributors having trouble posting their own content, as the filters recognize the copyright but not their right to it. Those people who firmly believe it necessary pushing the concept of the United States of Europe down people's throats never cease to amaze me. I have not the slightest doubt that the UK will be the first and not the last to see the dangers and leave. That seems like a very unlikely response to me. Aside from being paranoid on a level that competes with tin-foil hats, that doesn't make any sense. The UK is the mother of all nanny states, with what seems the most "protective" legislation and red tape of any government on the planet, yet you're saying people voted to leave because being a member of the EU impinged personal freedoms? I have a hard time accepting that as having been the motivation for most voters. I'm not sure the current popular view of intellectual property is sound or even in society's best interest, but exaggerating this action into a harbinger of military occupation is utter hyperbole. Easiest solution is to flag the content and then not serve it to any EU IP address and just show an ad instead. Frankly the EU deserves a substandard internet experience because of how hostile they are to the US tech companies that support the internet. Thanks for that. I'm one of those who has misspelled that word for years then, and had no idea.